Home Politics 2019: Is Rivers APC Aiding Wike’s Re-election? 2019: Is Rivers APC Aiding Wike’s Re-election? Barely five weeks to the 2019 general election, the All Progressives Congress (APC) party in Rivers State, is still enmeshed in crisis and litigations on whether it has any candidates and who the candidates should be. The Monday, January 8 judgment by the Federal High Court sitting in Port Harcourt cast further gloom on the chances of the party having any candidates. Deciding on two separate suits brought before it, the Presiding Judge, Justice Kolawole Omotosho, declared illegal, null and void the direct and indirect primaries conducted by factions of the All Progressives Congress (APC) in Rivers State during the pendency of the matter before Justice Chinwendu Nwogu of the State High Court. The court also restrained the Independent National Electoral Commission (INEC) from recognising any candidates of the APC for the 2019 General election in Rivers State and went on to order the commission to remove the names of all APC candidates from the ballot and other electoral materials. In the suit brought before the court by Senator Magnus Abe and 42 others against Rivers APC, Omotosho in his judgment declared that both the indirect and direct primaries conducted by factions of the APC were illegal as both took place during the pendency of the matter before the state high court. The court, therefore, held that the names sent by the faction of the APC controlled by the Minister of Transportation, Chibuike Rotimi Amaechi and the National Working Committee (NWC) of the APC to INEC for the elections were illegal and should be disregarded. He also posited that the direct primaries conducted by the Senator Magnus Abe faction were illegal, because the National Working Committee of APC did not monitor or participate in the processes. He said both the Abe and the Amaechi factions had no leg to stand in view of the judgment hence both factions were disqualified from participating in the elections. However, in another suit filed by the Rivers State chapter of the Peoples Democratic Party (PDP) asking the court to compel INEC to obey the judgment of the Rivers State High Court nullifying all Rivers State APC Primaries and congresses, the court granted an injunction stopping all candidates of the APC in Rivers State from parading themselves as candidates for the 2019 general election. Omotosho also granted a mandatory injunction directing INEC to remove all APC candidates from ballot papers and other electoral materials. Reacting to the judgments, both factions of the APC said they would appeal against the judgments. 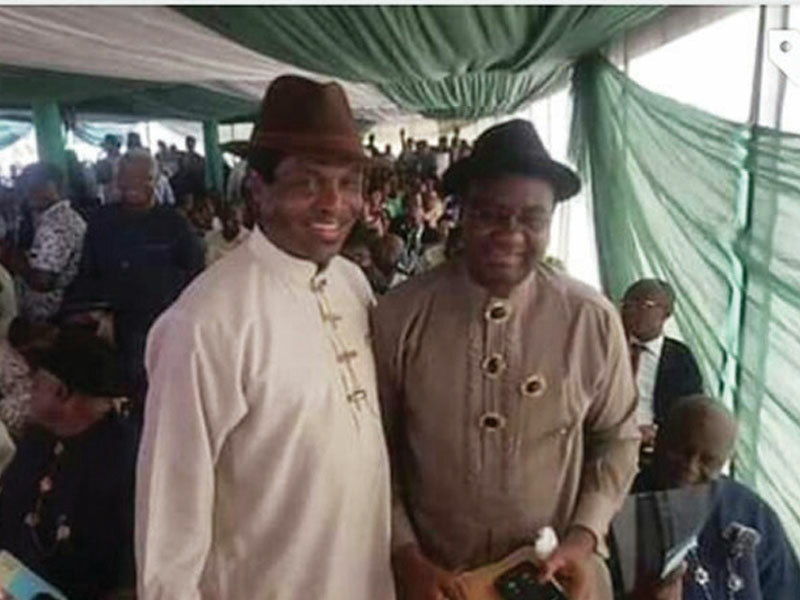 While the faction controlled by Amaechi was happy the court did not declare Abe the governorship candidate of the party, it said it would challenge the judgment barring it from presenting a candidate in 2019 general election. “Firstly, we totally agree with the Court that Senator Magnus Abe and the 42 other members of the party, who claimed to have emerged through an alleged direct primary election, were not and therefore could not be declared candidates of the APC in the 2019 general election in Rivers State. This was because the National Body of the APC never authorised or conducted the alleged direct primary as required by its constitution and guidelines, neither did INEC monitor same. “However, we do not agree with the Court that the Davies Ibiamu Ikanya and Peter Odike-led Executive Committee of the Party in Rivers State was still subsisting. The APC has the powers to dissolve its Executive Committee and that power was exercised on 21st of May, 2018. “The APC having dissolved that Exco, it ceased to exist and could not be resurrected, even if the Court finds, albeit wrongly, that there was no valid Congress to replace the dissolved Exco,” a statement signed by Chris Finebone of the Media and Publicity Department of the party said. The Tonye Cole Campaign Organisation also said they would appeal the judgments, insisting they hoped the superior courts would favour them. The Court of Appeal sitting in Port Harcourt had on December 12, 2018 upheld the judgment of the State High Court declaring the congresses held by the party as illegal, null and void as they were held in defiance of a court order. The party has also proceeded to the Supreme Court to try to upturn the judgment. While the fate of the party remains uncertain, many big wigs of the APC have blamed Governor Nyesom Wike for fuelling the crisis. Indeed, they have accused Abe and his group of being sponsored by Wike, an accusation Abe has denied at every point. 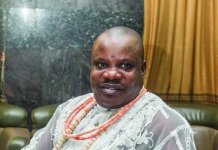 A chieftain of the party, Chief Eze Chukwuemeka Eze, has repeatedly said Abe was working with Wike. He called on Abe to formally declare for the PDP or drop his governorship ambition. But Abe has reiterated that he remained a member of the APC and would do everything to ensure the success of the party and President Muhammadu Buhari at the polls. While the legal fireworks continue with each side hopeful of victory, analysts believe that the cases remain a major distraction to the APC and that it might be too late for the party to come out of the crisis to defeat Wike and the PDP in the state. 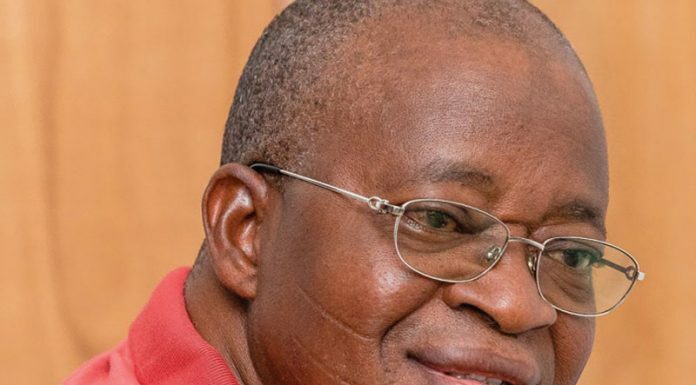 They say the APC has boxed itself into a corner of discomfort as any negative decision of the Supreme Court could spell doom for the party in the 2019 elections in the state. Secondly, the division in the party is almost irreconcilable between supporters of Abe and Amaechi. A supporter of Abe and former commissioner told THISDAY, “Instead of me to support Amaechi or any of his candidates, I will vote another party.” This is really the mood in the Abe camp. Most of them have vowed to end what they described as the “era of godfathers in Rivers APC”. It is also difficult to imagine an Amaechi supporter campaigning or voting for Abe, considering the bad blood already generated in the party. The situation has resulted in the APC becoming a shopping ground for other parties. The Action Democratic Party (ADP), for instance, has called on aggrieved members of the APC to join its ranks. A chieftain and founding member of ADP, Dr. Acho Nwokogba, addressing journalists in Port Harcourt, called on “patriotic and visionary” members of APC in Rivers State to defect en masse to the party following the Federal High Court judgment barring all APC candidates from the 2019 general election. 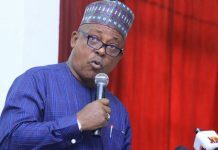 He said though ADP was “not laughing” at their misfortune, there was a need for responsible members of APC to contribute to the development of the state, adding that it was this class of people that ADP was inviting to join it. “We hate to sound like we are beneficiaries of our opponents’ misfortunes. 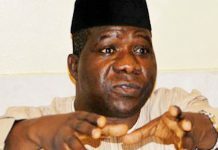 But we have always presented Action Democratic Party as a credible alternative party to both APC and PDP,” Nwokogba said. While it is common knowledge that only the APC could give the PDP a reasonable challenge in the state, the NWC of the APC appears not to be doing anything visible to resolve the crisis and embark on reconciliation of the factions. With just a few weeks to the elections, the curtain may be drawn against the APC and the party may be unwittingly aiding Wike’s easy ride back to the Brick House. Previous articleIt’s Tinubu’s Campaign Council!